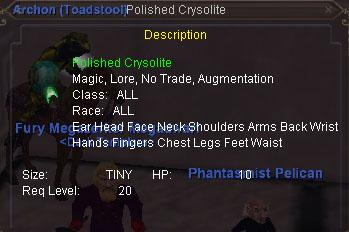 somneone posts a screenshot but not the creature that dropped it? I looted one off a gargoyle in the castle and another off an initiate familiar near zone entrance. Took a while before they dropped though. Had to kill many things. This item seems to drop randomly off of any mob in the zone.